Troy’s Prekindergarten Programs provides a nurturing environment where children are excited to learn and discover. The full-day program, located at School 12 on First Street, accommodates 35 children. Selection for this program is based on need. Learn more. Beginning January 28, 2019, the District will offer an additional 35 spots at School 2, School 12 and Sacred Heart School. The full-day program is located at School 2, School 12 and School 14, as well as seven additional locations. 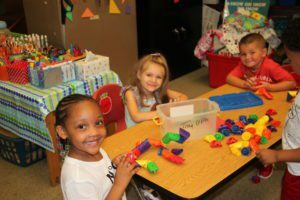 The Prekindergarten program is funded through a grant from New York State. Learn more. Registration for the 2019-2020 school year begins February 25, 2019. A parent or guardian must be present at Central Registration (located at School 12 – 475 First Street, Troy) in order to register their child. Only completed applications with required documents* will be accepted. Visit our Registration page for details.